Get in touch with nature at Eastern Beach Reserve and Royal Botanic Gardens. Your inner history buff will appreciate Split Point Lighthouse and Sovereign Hill. 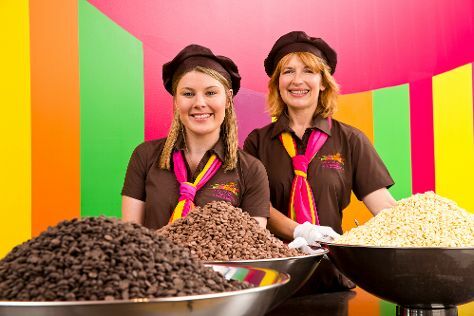 You'll find plenty of places to visit near Melbourne: Ballarat (Art Gallery of Ballarat, Ballarat Wildlife Park, & more), Bruno's Art and Sculpture Garden (in Marysville) and Yarra Valley Chocolaterie & Ice Creamery (in Yarra Glen). There's much more to do: brush up on your military savvy at Shrine of Remembrance, browse the eclectic array of goods at South Melbourne Market, enjoy the sand and surf at Bells Beach, and identify plant and animal life at Phillip Island Wildlife Park. To see reviews, photos, other places to visit, and tourist information, you can read our Melbourne trip planner . May in Melbourne sees daily highs of 20°C and lows of 9°C at night. Finish your sightseeing early on the 26th (Sun) to allow enough time to travel back home.